Hold off on the S6 and M9? As if to say "hold up on your next phone purchase," LG has sent out launch event invites the same day we reviewed the Samsung Galaxy S6 and Samsung Galaxy S6 Edge. That's clever timing. 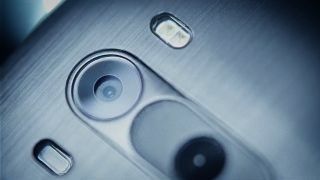 The April 28 reveal is expected to give us our first official glimpse of the LG G4, the South Korean company's next flagship smartphone. The Android phone announcement takes place in New York, London, Paris, Seoul, Singapore and Istanbul, according to other media outlets that have received the same invite. Ours just has London on it. When is LG G4 release date? The simplistic invite doesn't hint at the actual LG G4 release date, however, so it could be a few weeks to a month and a half out from the launch event in the US and UK. That's what happened with the LG G Flex 2 when it made its debut in the more carrier-friendly South Korea one month before traversing to the west. Before that, the wait time was even longer. LG announced the LG G3 at a May 27 event last year and it didn't make its debut until a month and a half later in mid-July. The good news it may be worth the wait. We got a taste of the powerful specs of the curved LG G Flex 2, and there's word of a more stable CPU and an even better camera in the new phone. With HTC One M9 and two Samsung Galaxy S6 variants crowding the April calendar, LG needs to stand out. We'll see how it'll do just that on April 28.